For over 100 years, the Conejos Ranch has been the traveler's choice in South Central Colorado. Nestled in the Rio Grande National Forest, the ranch has approximately one mile of river frontage on the famous Conejos River.. The western hospitality and charm, fine food at our full service Canyon Cafe, and comfortable accommodations at the Conejos Ranch all contribute in bringing guests back year after year. Our gift shop will tempt even the most discriminating buyer with its unique clothing and treasures! A wrap-around deck provides a wonderful venue to enjoy morning coffee or "cap off" the day with a drink and reflect on the surrounding beauty. The ranch property also includes eight log cabins that are only a "cast" away from the Conejos River. Accommodations range from one bedroom cabins to a multi-family cabin with three bedrooms / two baths. All cabins have fully-equipped kitchens. Certain B&B rooms and two of our cabins are open year around for winter travelers. DSL Wireless is available. Our restaurant, The Canyon Cafe, boasts the best food in the Conejos Canyon featuring authentic smoked BBQ, nightly specials, such as prime rib, grilled salmon, and good down-home cooking. We serve hearty breakfasts and delicious suppers seven days a week. We also have an outdoor barbeque area and a campfire area for your nightly enjoyment. (Firewood provided) Our entire facility is available for large gatherings such as family reunions large or small. 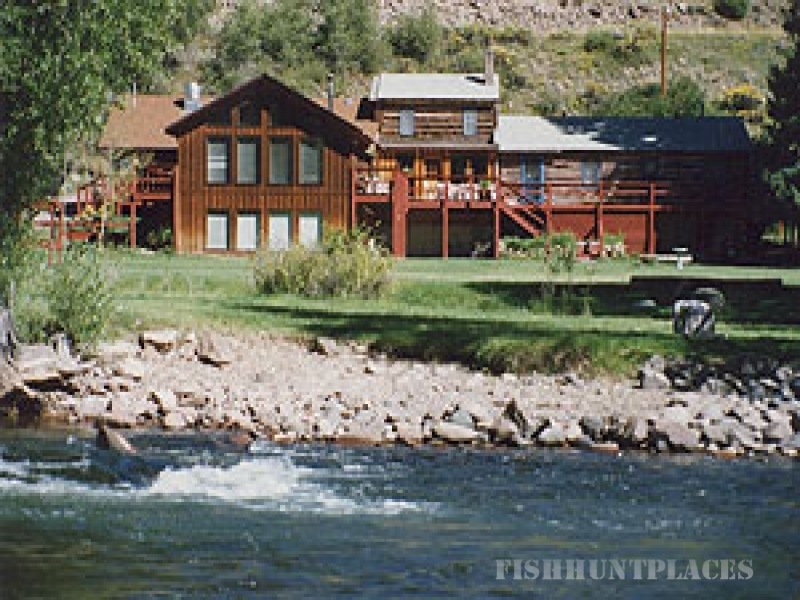 When staying at the Conejos Ranch, you may fish our privately stocked mile of riverfront property or over 30 smaller streams and tributaries in the county that offer some remarkable fishing of their own. The season generally runs from May though October - with July, August, and September being prime months for dry-fly enthusiasts. If you do not like to "strike" out on your own, hire an experienced fishing guide. These trips center around the Conejos River, which has long been one of Colorado's premier fisheries primarily German Browns and Rainbow Trout, but also include the smaller streams. While fish in most of these smaller streams seldom reach trophy proportions (with a few exceptions) their fighting nature and sheer numbers make up for any lack of size. This is great sport on light lines and rods and it's not unusual for accomplished fly fishermen to land dozens of trout in a day. 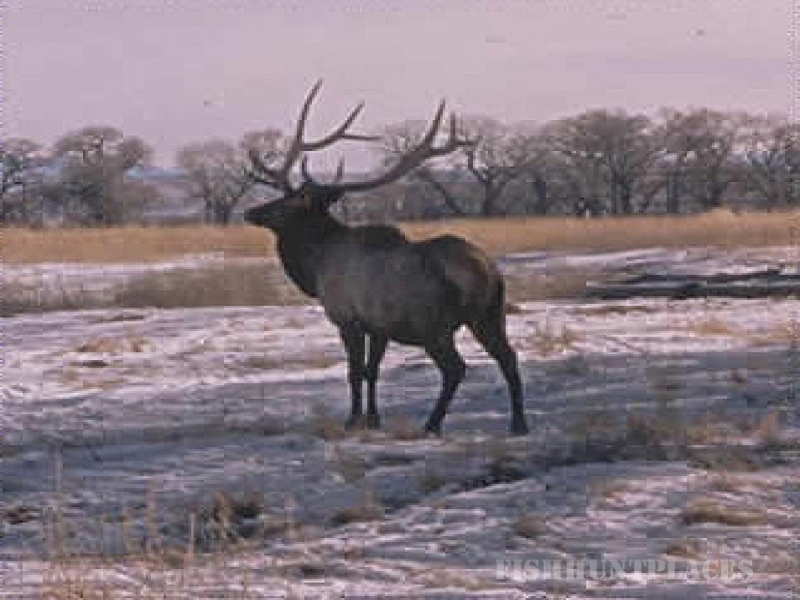 August through November is elk and deer hunting season only a twenty minute drive from the ranch.